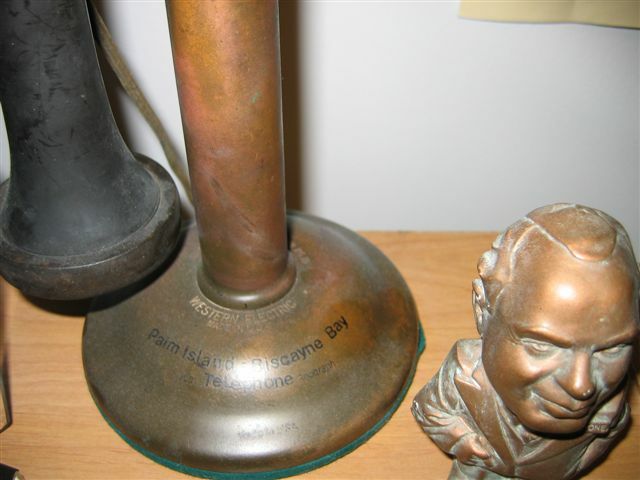 Al Capone's brass candlestick telephone with Capone name and address on telephone label under the base. 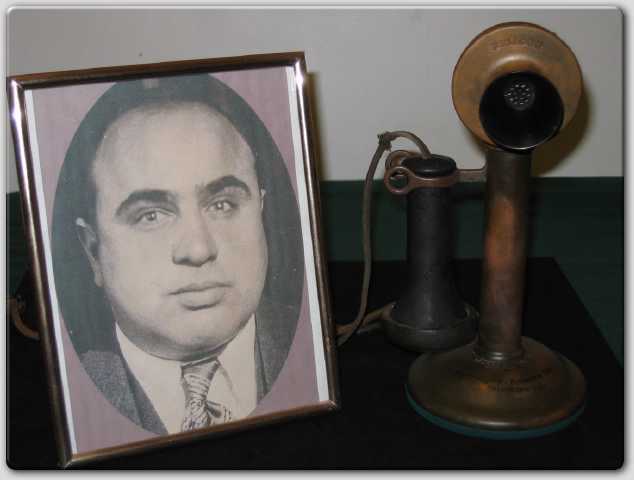 The telephone was used by Al Capone at 93 Palm Island before and after the St. Valentine's day massacre in communication with his accountant / business secretary Jake "Greasy thumb" Guzik. 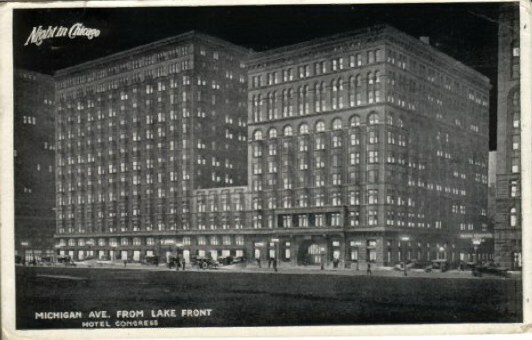 Guzik was at The Congress Hotel in Chicago while making and receiving these long distance calls. Al Capone's Miami residence phone number was 51810. Subpoena sent to William T. Harris, office manager at Southern Bell company Miami, Florida The court is requesting Al Capone's phone records from 93 Palm avenue for Capone's October 6,1931, tax trial . 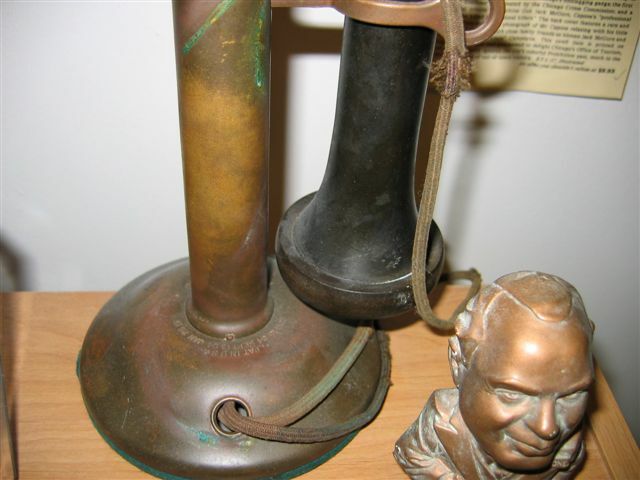 This amazing piece of Capone history now in the Myalcaponemuseum collection comes from Al Capone's Florida Palm Island estate. 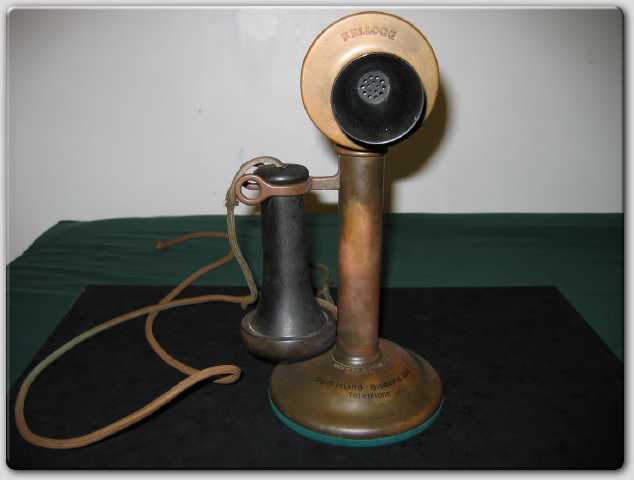 This 1915 patented Kellogg telephone comes to my collection and website courtesy of one outstanding individual named Mr. Tom Dooley. Special thanks to him for understanding history, and for making it possible for me to have it in my collection in order to share this item with all the history buffs out there. 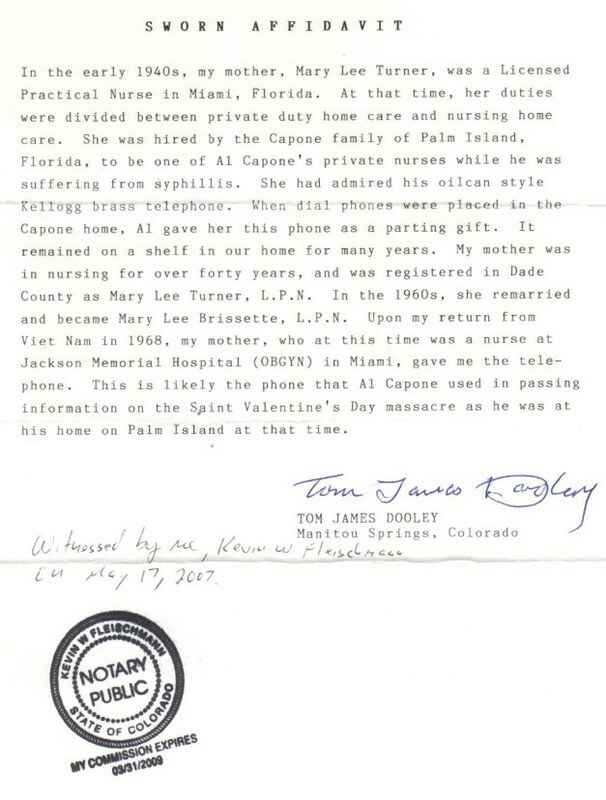 Tom's mother was a nurse hired by the Capone family in the early 1940's to take care of Al, who was ill due to the complications of his advanced syphillis. Mary, who didn't drive at the time, would visit the Palm Island, a man made island via bus and a jitney (Taxi). 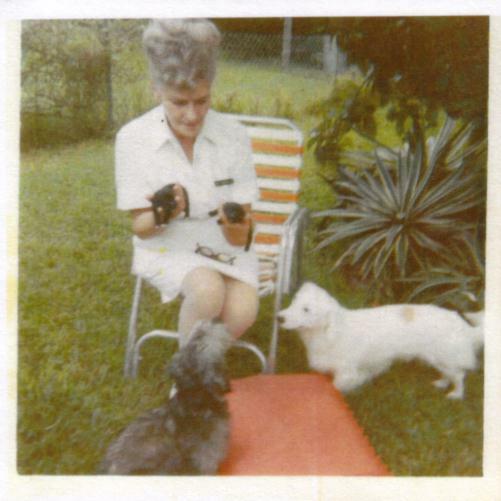 Mary Lee (Turner) Brissette L.P.N.Mary Lee Turner was a Dade county licensed practical nurse. (L.P.N.) At that time, she divided her duties between private home care and nursing home care. 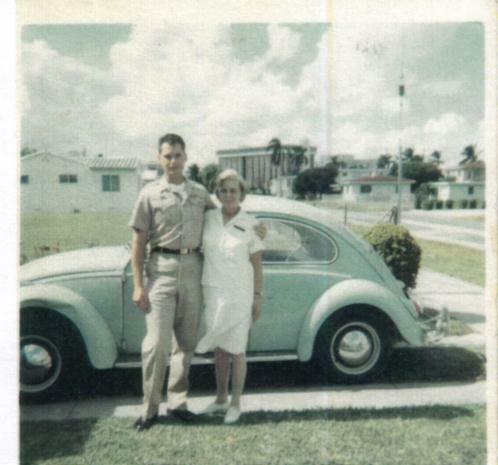 Mr. Tom Dooley and his mom, Mary Lee Brissette in 1968, after Tom's tour of duty in Vietnam. On her various visits to the Capone estate, she kept noticing the shiney brass phone from the roaring twenties. It was no longer the main phone, and was only being used as an extension. The Capone's took notice. 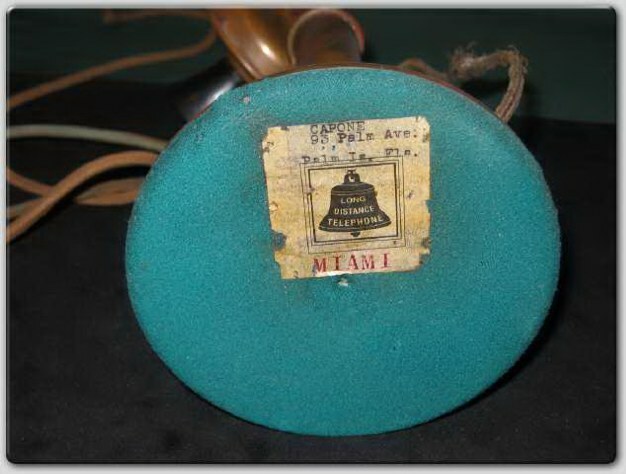 When replacement of the old style telephones, with the newer dial phones were made at Biscayne bay area, Mary was presented with this old treasure as a parting momento by the Capone family. Just a little something to remember Al by. Under is the phone company tag along with the Capone name and residence address. 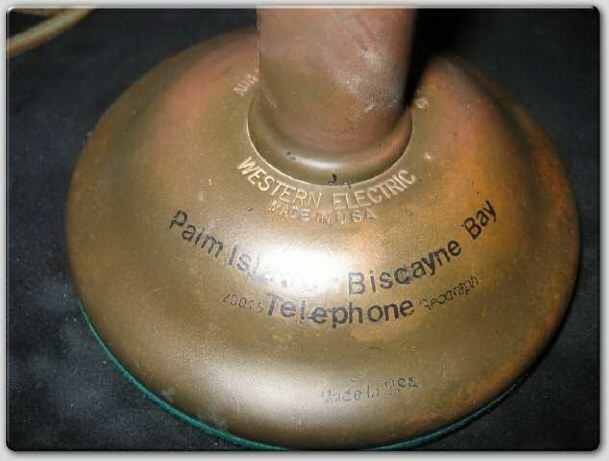 The Biscayne area and Palm Island in particular, had a switchboard set up which received incoming and sent outgoing calls to / from the residents living there. 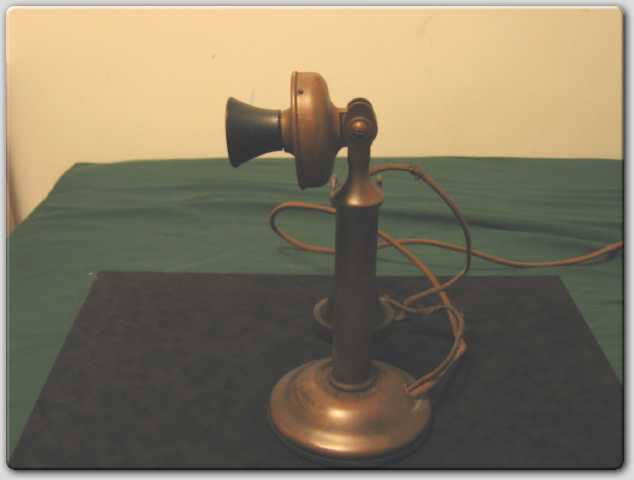 In the homes, these phones were connected to a box called a"subset", which had a battery, bell, and magneto crank. Palm Island Capone residence phone. In use circa 1928 to late 1930's. Mary kept the Capone family phone for many years on a shelf, and in the 1960's she remarried to become Mary Lee Brissette. 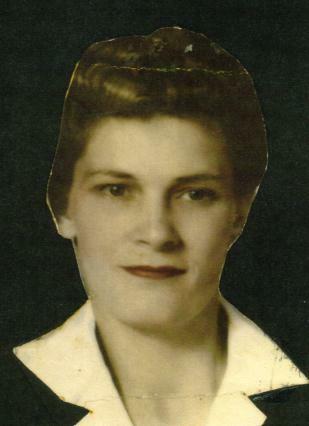 Mary continued to practice her love of nursing and went to work at Jackson Memorial Hospital in Miami. Her nursing experience spanned 40 years. In 1968, her son Mr. Tom Dooley, returned from valiant service in Vietnam. Mary gave her son the phone as a gift. A caring Mary Lee Brissette and some little friends. 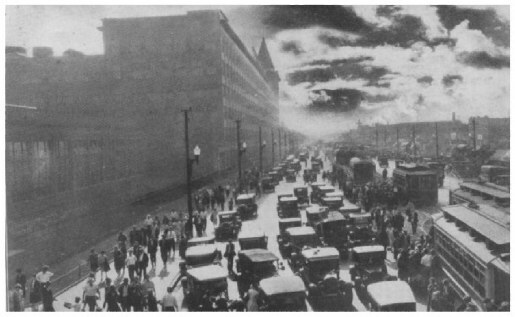 Congress Hotel where Jake Guzik called Al in Florida, before and after the massacre. Entry (18250-B) by the Chicago Crime Commission on Jake Guzik (Jack Cusack). 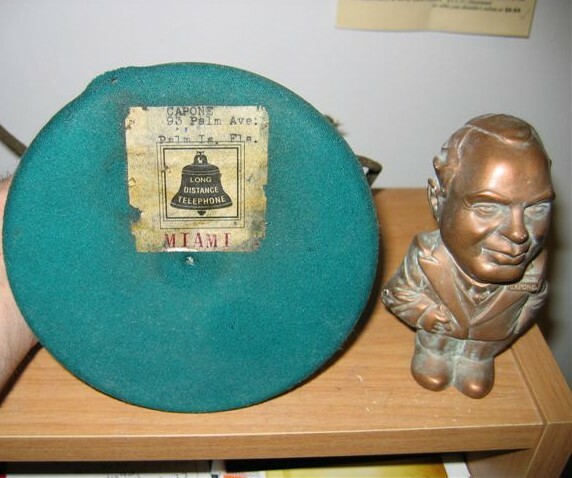 It states information from the Herald Examiner about Guzik receiving and making long distance calls to, and from Chicago to his boss Al Capone, who was in Miami beach. This was mentioned in Pasley's, Kobler's and Hoffman's books on Capone. (Special thanks to John Binder). 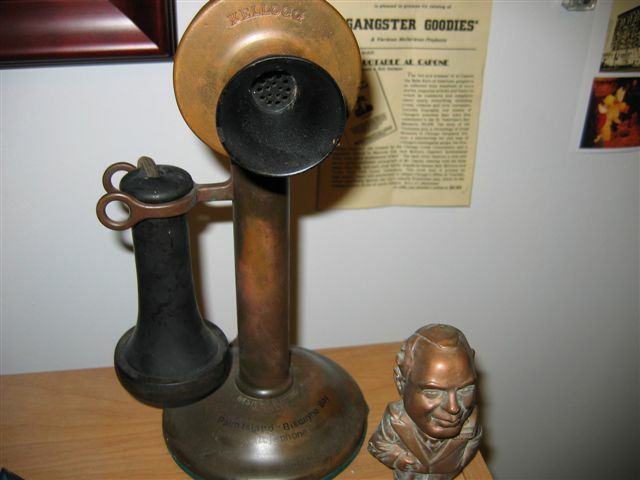 About the telephone, it was made by the Kellogg Switchboard and Supply co. In 1872, Milo G. Kellogg had been an engineer at Gray and Barton, a Chicago company manufacturing telegraph equipment. He later was employed as engineer and superintendant at the Western Electric plant in Cicero. 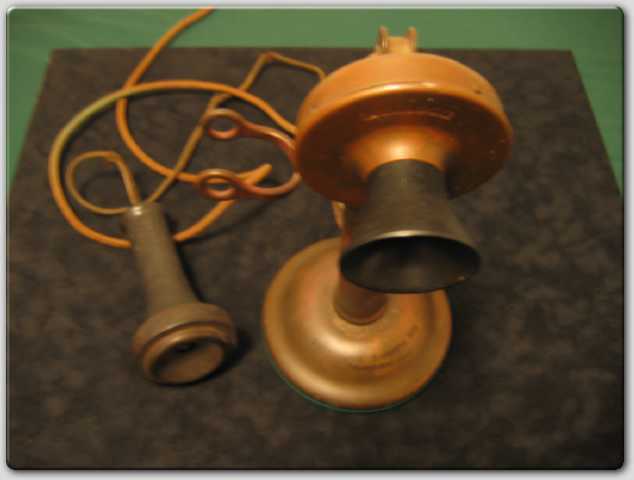 In 1897, Kellogg leaves to start his own company, the Kellogg Switchboard and Supply co.
Back view of frayed cord and receiver. Patent dates viewed from top. Hello? Hello? Capone residence, Al speaking! 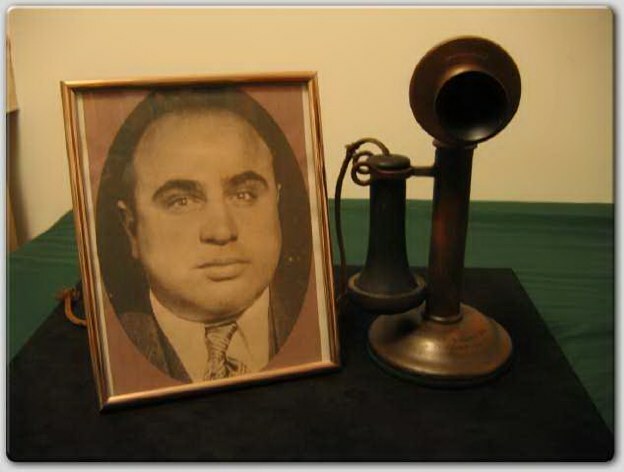 Sworn affadavit of Capone phone obtained from Mr. Tom Dooley. 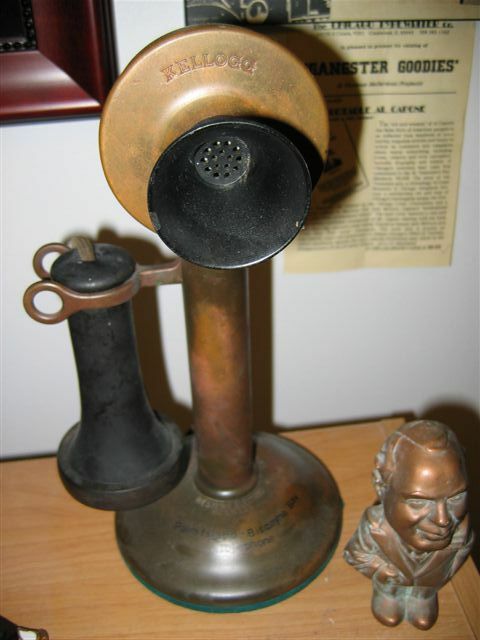 We know it came from Capone's Florida home, but how about for the phone itself? I contacted phone expert "Kellogg" Mike Neale about the said phone. I'm glad I did! Here's what he had to say. 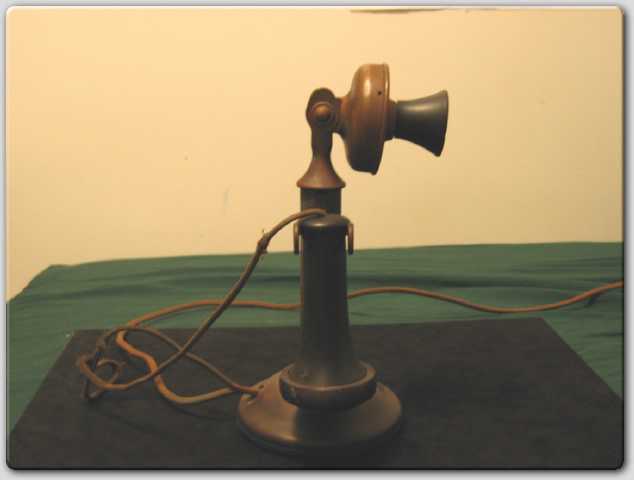 "The telephone is a Western Electric as is the receiver. The transmitter has been replaced with a Kellogg (a very common practice, the replacement parts were taken off of another phone). 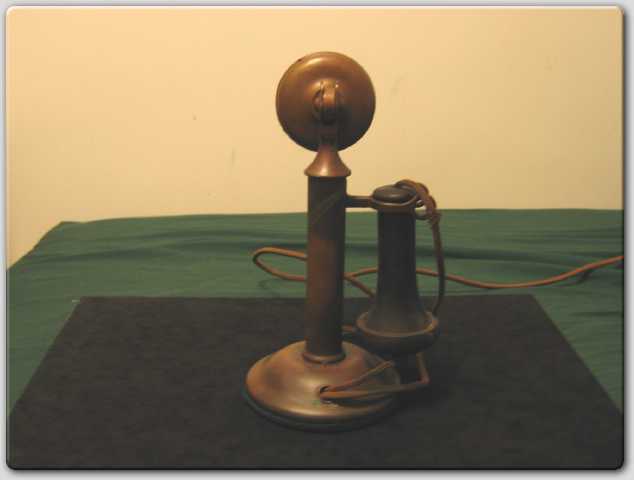 Western Electric or Kellogg did NOT make brass telephones, they WERE either painted black or nickle plated. 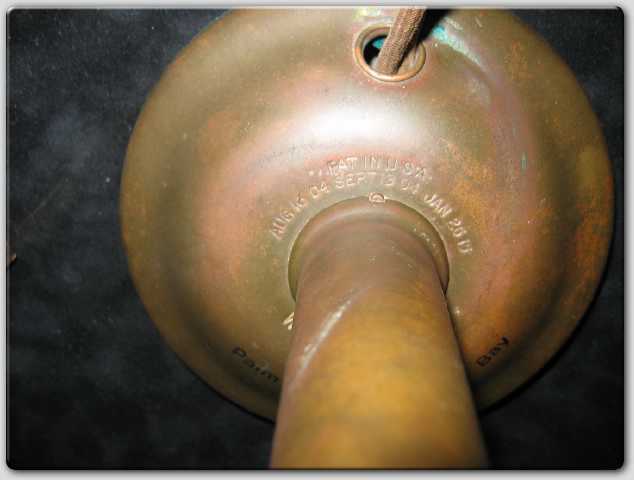 The brass WE and Kellogg phones you see have been stripped of their paint or the nickle plate has worn off (as in the link you have posted for a brass WE). The spot on your phone that is turning green is because the varnish applied to the phone after it was polished became chipped. If you want to know the model of your WE it will be stamped on the back side of the square portion of the neck (or perch as they were called)." Looking from hi res photographs I sent him, Mike suggested two possiblities. 1) that the phone company may have painted the phone gold for Al's decor or tastes. The varnished gold over time (80 years) may have paled to an old brass finished look. Neale stated that many small phone companies did that and other wild things to their phones to appease customers back then. That would explain alot as Al did have some gaudy tastes as was seen in his Lexington hotel suite. (Gold, Pink ,Green and Purple). 2) Upon closer inspection, Neale feels it is more than likely that the phone was simply stripped to the brass, polished and varnished for the Capone's by the Biscayne phone company and that it's 80 years has rendered it to it's present state. The varnish was used to deter tarnishing and to protect the brass from the green corrosion caused by the salt air (from the sea water). He has seen this same type of green corrosion before.The corrosion has appeared where the varnish has worn off or has been chipped. The evidence of wear off is seen where the phone is handled in the middle of the receiver (stick part) and below at the back of the perch. Back of transmitter. 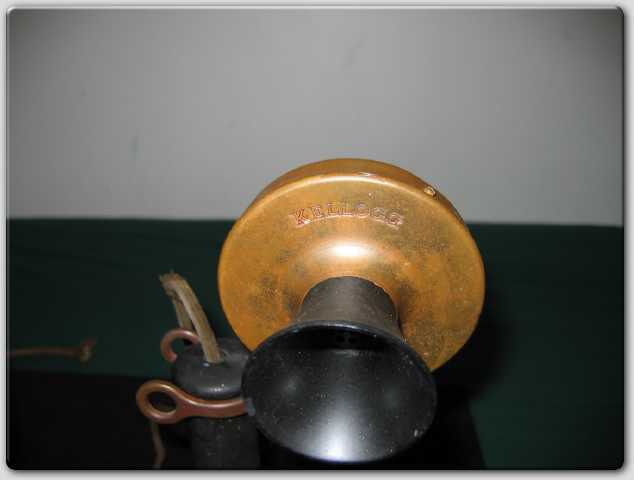 Western Electric 20AL model stamped at the neck or perch. 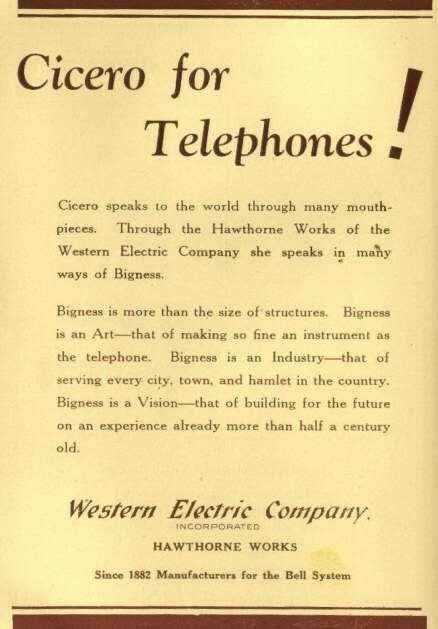 1929 ad for Western Electric Company. 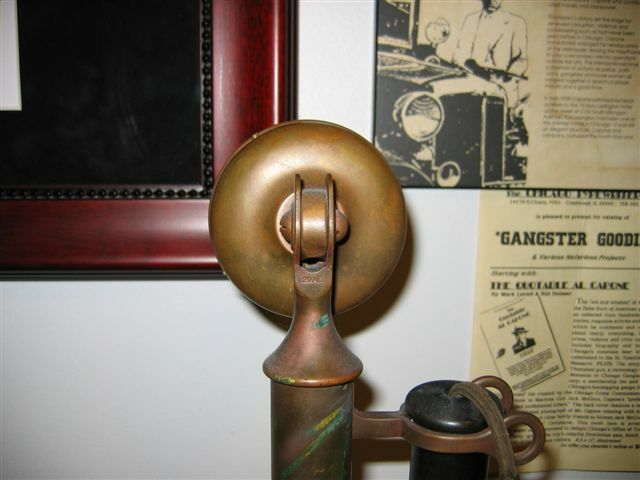 Here below are extremely well documented and intelligent sites that are well worth the visit for any old candlestick phone afficionado and links pertaining to Western electric and Kellogg collection. Some Kellogg history as to who is the man that worked at Western company in Cicero, Illinois developing phones and related apparatus. 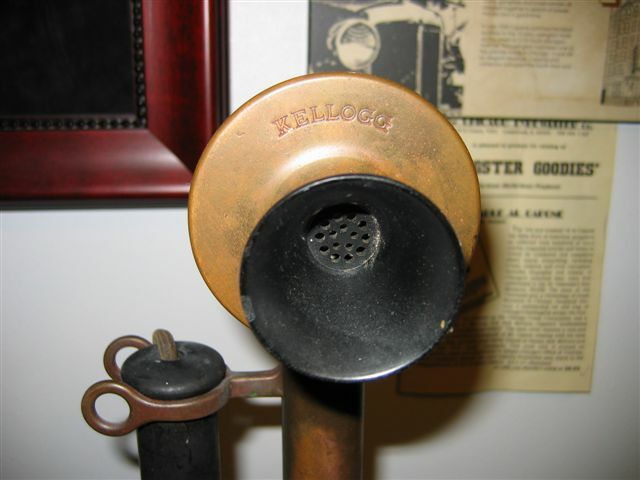 The first link shows when Western Electric secretly controlled Kellogg. Western Electric plant in Cicero,Illinois after a work day. My special thanks and immense gratitude to Tom Dooley and his mom, the late Mary Lee Brissette. Without them, this page would not have been possible. This webpage is dedicated to Tom James Dooley, who passed away on September 12, 2010. Without his kindness this phone would have not seen the light of day. He was a kind soul, talented artist, and Vietnam veteran. He appreciated items foremost for what they meant, and not solely for their monetary gain. We both had this principle in common.